10 Video Games That Changed My Life. I wrote this article for Retrojunk.com in 2005. I've updated and edited it for this blog entry. Most of the time, video games are purely for entertainment purposes, and don't really go very far beyond that. Once in a great while, though, a video game will come along that gets under your skin, into your blood, and won't let you go--for whatever reason. These are the games that did that for me. They're not the greatest games of all time, or necessarily my favorite games (although they are games that I've spent a lot of time playing). These are games that fundamentally altered my brain chemistry, changing the way I think: about games, having fun, and living life. For convenience sake, I've listed them in roughly chronological order. 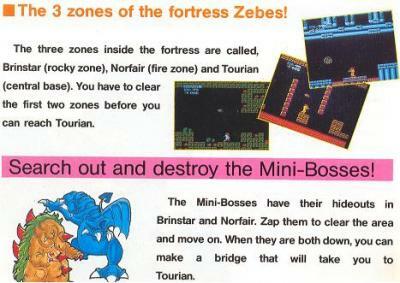 I've also included lots of scans from the game carts and manuals, cause I like that stuff. The basic premise of this game is explained on the back of the cart. 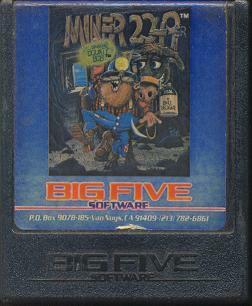 The game takes place in the future (2049), and you are treasure hunting in a mine. 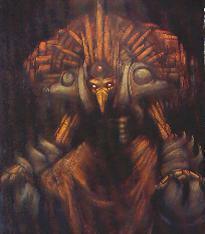 But the mine is full of malformed, glowing beings called "Nukes", that meander aimlessly. There are also a ton of cool things like transporters and moving platforms, and each level is a puzzle in which you have to step on every tile of floor in order to advance. 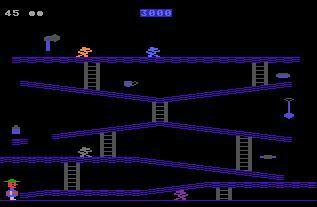 The Atari 400 was the first game system that my family owned, and many of my early video gaming memories revolve around Miner 2049'er. 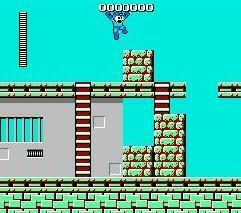 It was one of the few really great platform games from the pre-Super-Mario-Brothers era. It had 10 levels (which was pretty big at that time), and it was HARD. My oldest brother Joe got to level 7 once, and that was mostly luck. But my fondest memories of this game aren't of playing it seriously. Bluntly, it was really fun to kill Bounty Bob. When he fell off a high platform, his body squished into a pancake. When he ran into a Nuke, he exploded. My brothers and I used to kill Bounty Bob over and over, pausing the game in mid-death-sequence, and laughing hysterically. We used to call him Pulcinella Funny Fella (don't ask me what it means; I don't know). 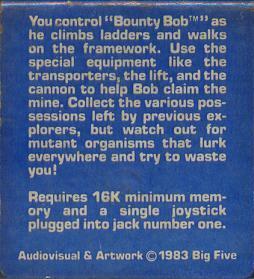 Looking back on it, it was really sick, but I still like to pop this cart into the old Atari 400 (yes, I still have it), and kill Bounty Bob for old time's sake. 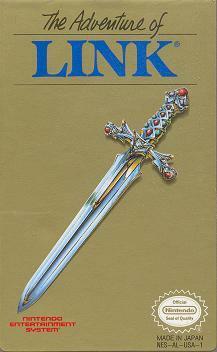 In this oft maligned sequel to The Legend of Zelda, you control Link as he further explores Hyrule. 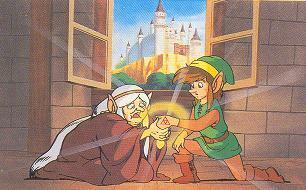 Zelda has fallen into a deep sleep, and the only way to wake her is to place crystals into several statues throughtout the kingdom. The statues are, of course, protected by hordes of enemies, who must kill Link in order to bring Gannon back to life (Who could forget that laugh?). This is sort of the red-headed stepchild of the Zelda series, since the game is a sidescroller, rather than the normal top-down view in other Zelda games. It also involved a rather odd leveling system. I very clearly remember the Christmas when my parents gave my brothers and me our first Nintendo. It was magic. Along with the system, they gave each of us a game (I think my game might have been SMB/DH, since my parents were frugal enough to count the pack-in game as a gift in itself). This was the game my brother Joe got. I couldn't believe it when I saw it. This game was HUGE, full of secrets, and had fantastic graphics and music (I still think this game has some of the best music of any video game ever). I had never seen anything like it. I never played it much myself as a kid, but I used to love just sitting and watching him play it. This game brings waves of nostalgia back to me in a way that no other game does. 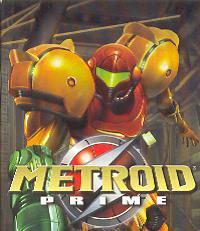 In this game, you control Samus Aran as she explores the space pirate fortress planet Zebes. The planet is a big maze, and in order to progress, you must locate items such as bombs and high jump boots. 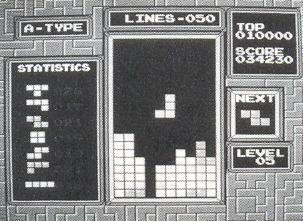 One of the first truly non-linear video games, You can collect many of the items in the game in any order you like, or skip some areas entirely. The game also features multiple endings, depending on how long it takes you to finish. 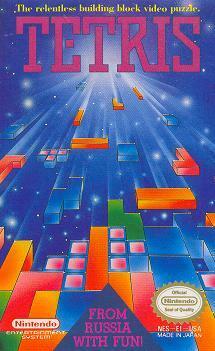 It was also one of the first games in which the hero was female. This was the first game that I badgered my parents into buying for me. 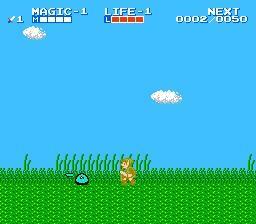 Part of my interest in this game started when I saw Fred Savage's autistic brother playing it in The Wizard. Even though it only appears onscreen for a few seconds, I thought it looked so cool that I had to have it. Usually, I had no clue what the heck I was doing as I bombed my way into the depths of Zebes, but I didn't care. Part of the fun of this game is NOT knowing what to do next. You just have to run around until you figure it out. This was one of my favorites when I was a kid. 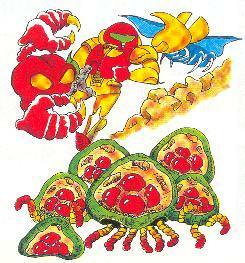 Metroid's importance, however, goes further than that for me. I quit playing video games from my freshman year of high school through my sophomore year of college. When I became interested in video games again (which is a whole other story by itself), this is the first game I played, and I played it like there was no tomorrow. I've beaten this game more times than any other game, and if I had to name a favorite video game, this would be it. 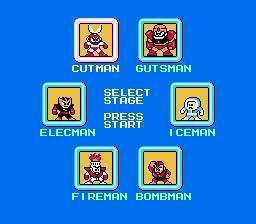 Mega Man has become a video game empire, spawning cartoons, toys, and countless sequels and spinoffs. In a nutshell, Dr. Wily is trying to take over the world, and Dr. Light sends Mega Man to battle his robot flunkies and stop him. 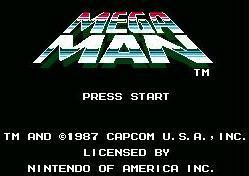 The first Mega Man contains many of the elements that helped the series become famous, but what's great about the game is the smooth play control, interesting music, and bright graphics. 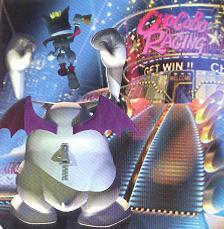 This game only has 6 robot bosses, rather than the standard 8 of later games, and is well known as one of the more difficult games in the series. Lastly, because execs at Capcom thought the anime style Mega Man we all know and love wouldn't appeal to American kids, the game's cover art was horribly redone (see above picture). Lemmings is a puzzle game in which you must lead the little creatures from each level's entrance to its exit without too many of them getting killed. But you can't directly control the lemmings; they just wander around brainlessly. What you CAN do is give various lemmings jobs (like digging tunnels, or climbing walls) to help them. Of course, each level contains lots of traps like bottomless pits, lava, anvils that fall from the sky, etc. 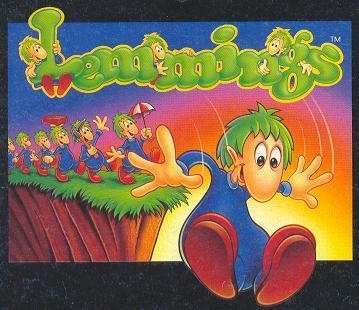 I had kind of a strange relationship with Lemmings. 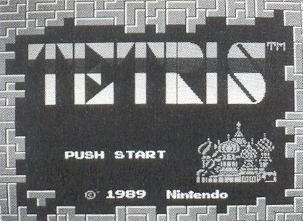 I loved to play this game, and kept every code for every level that I had beaten in a little address book. Lemmings had a sound test, and I connected my stereo to my SNES so I could record all of the music from Lemmings onto a tape, and listen to it on my walkman (and I did listen to it--a lot). 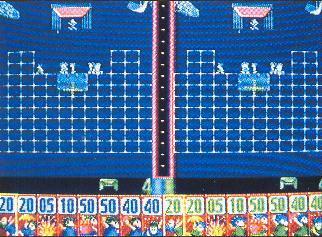 Lemmings was also similar to Miner 2049'er in that you could kill the Lemmings in really hilarious ways. when I got bored playing the game seriously, I would just crank up the release rate to 100, and bomb all of my poor lemmings into a fantastic fireworks display of lemming guts (which was made even funnier because the lemmings said 'oh no!' in a really high, squeaky voice right before they exploded). After writing this, I think I might need some psychiatric help. Man, I was a sick kid. 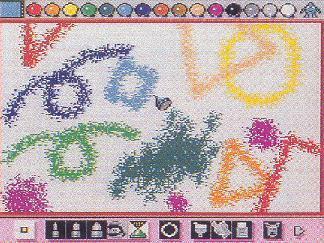 Mario Paint was basically software for the SNES that allowed the user to draw pictures, write music, and create animation. Then, you were supposed to connect your SNES to a VCR and record your work. 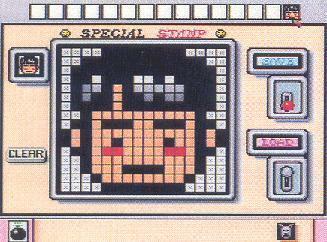 Some of the more popular features were Special Stamp (in which you could create your own graphics tiles) and Coffee Break (a game in which you swatted flies). 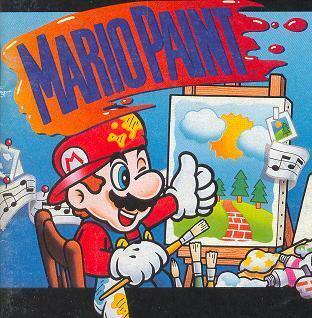 Mario Paint came packaged with the SNES mouse and a nifty Nintendo mousepad. 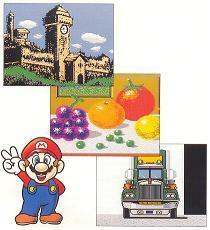 For a nice example of what can be done with Mario Paint, check out the museum at homestarrunner.com. 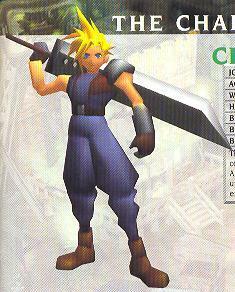 In what is arguably the most popular game in the Final Fantasy series, you control Cloud Strife as he goes on an adventure of epic proportions. You start out helping a group of rebels destroy a Mako Reactor in the city of Midgar. As the story progresses, Cloud realizes that something strangely supernatural is happening. This game involves all of the things that make Final Fantasy great (summon magic, airships, a guy named Cid), and more secrets than you can shake a chocobo at. 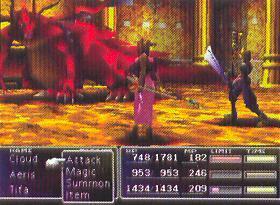 It is also the first Final Fantasy title that takes place in a three dimensional environment. I have a confession to make. I had never played a Final Fantasy game until I was a junior in college, about five years after it was released. Thus, there's not a lot of nostalgia involved in this entry. When I started playing this game, It seemed like any other game (albeit, a very good game), but after I finished it, I couldn't stop thinking about it. The characters are immensly likeable, the story is moving (if a little confusing), and the music is the best video game music I've ever heard. I just couldn't get this game out from under my skin. For months after I finished it, I just kept going through the game over and over again in my head, thinking about what I could have done differently to improve my playing, to get more out of the story, or to have more fun with it. So I played through it a second time, and then a third. Man, this is a good game. 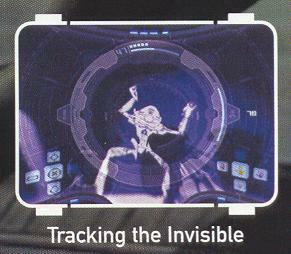 Metroid Prime takes place directly after the first game. Samus is now searching the planet Tallon IV, trying to discover what new scheme the space pirates are up to. 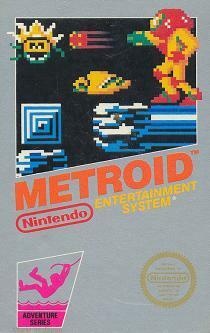 As a first-person-shooter (FPS), this is the first game in the Metroid series to break from the sidescrolling platform. 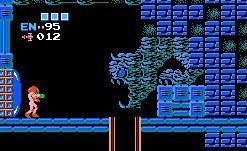 All of the things that made the original Metroid great are repeated here. The Christmas after I became interested in video games again, my mom got me a Game Cube, and my younger brother Sam got me this game. It was the first FPS that I ever played, and was immediately immersed in the world of Tallon IV. I tried to limit my playing to only 2 to 3 hours a day, but I knew I was playing too much. I saw a scrubbing bubbles commercial on TV, and my hands instinctively started doing the 'lock on, fire' pattern as I tried to blow them away, despite not having a controller in my hands. This is also the first game that I was ever really afraid while playing (in a horror movie sort of way--specifically, the part of the game where you get the thermal visor; the space pirates in the dark there really freaked me out). I think I might have played this game TOO much. 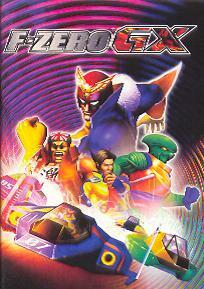 This is the game from the F-Zero series for Game Cube, and represents a (gasp) collaboration between Sega and Nintendo. This game contains tons of driveable machines, unlockable secrets, and cool extra features, like theme songs for each driver, and a story mode as well as a grand prix mode. I don't really have much to say about this game except that there was one semester of college when I played this game for about five hours a day. I was just totally obsessed, plain and simple. I didn't unlock every secret, but I certainly tried. This is one of the hardest games that I have ever played. It's the kind of game that goes by so fast, if you stop to think, you'll mess up (the game's slogan is "Don't Blink and Drive"). You have to play so much that everything becomes second nature, and it did for me. I hope that this article took you on a nice little trip down memory lane, and reminded you of some of the games that were (or still are) important in your life. It definitely did that for me.